The Ace Hotel in New Orleans set out to design a beautiful and unforgettable lobby, delighting guests the moment they walked through its doors. 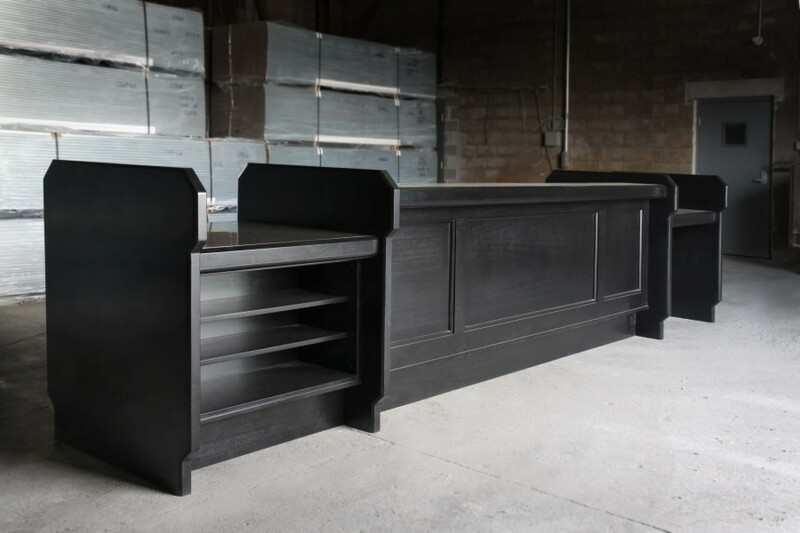 The Brooklyn firm leading the design project, Uhuru, called upon Seven Trees to handcraft a unique custom reception desk to distinguish the space. Seven Trees worked with beautiful solid mahogany and finished the wood in a satin black, adding to the drama and elegance of the piece. The 16-foot hotel reception desk featured brass inlay tops that will patina with age. The desk now sits at the entrance to the hotel, commanding the attention of everyone who enters. To learn more about how Seven Trees can work with your hospitality design team to create one-of-a-kind statement pieces that set your space apart, contact us today.